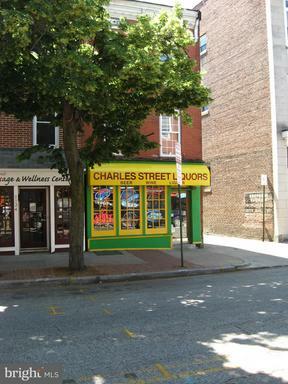 Great opportunity to own a well-established, existing business - Excellent location in the heart of Federal Hill - high pedestrian & vehicle traffic. 1st floor is owner-operated liquor store, with lottery & check cashing. Potential to renovate/expand 2/3 levels as apartment/residence. Sale includes: Real Estate, FF&E, and 6 day Class A BWL License; Inventory to be negotiated separately. $2,174 would be your approximate monthly principal and interest payment. Courtesy of: Marsiglia & Co., Inc.